From corporate meetings to wedding receptions, every event deserves a venue like the 755-square-foot space at the Country Inn & Suites, New Braunfels. Take advantage of our location in the heart of Texas Hill Country, less than an hour from Austin and San Antonio. 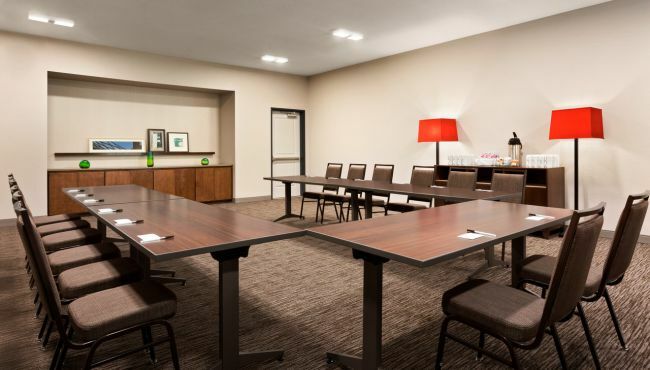 Our hotel meeting room accommodates up to 60 people, and we’re just a short drive from major businesses like Continental Carbon, Allscripts, Caterpillar, the Shell regional office, Philips and GE. Please contact Mary Rowland for further information regarding our package options and equipment rentals.